Working with the legendary Troy Ladd of Hollywood Hot Rods, QA1 designed an exclusive line of shocks for the street rod market. Following their “Respect Tradition” motto, QA1 worked with Troy and his team to create these traditional-looking street rod shocks with modern-day performance adjustability. 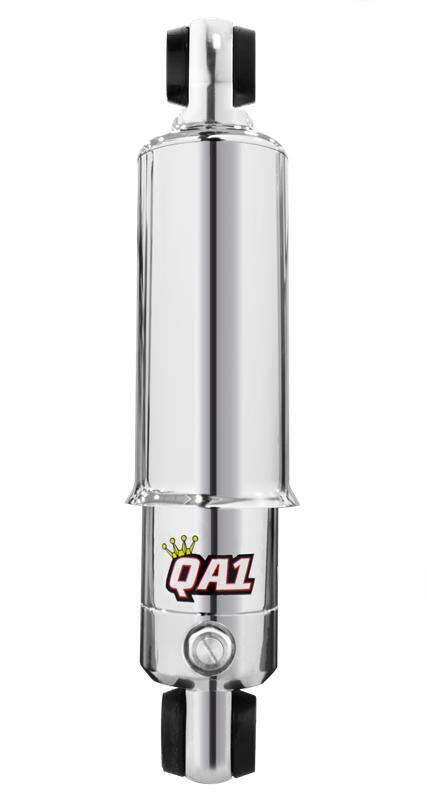 Offered in both front smooth body and rear threaded body, QA1’s Hollywood Hot Rods Series Shocks are chrome plated aluminum for show quality appearance. For a nostalgic look, the front smooth body shocks have a chrome plated, bell-shaped dust cover. While other street rod shocks may provide the traditional look, they’re limited to one valving option, so they are unable to provide a comfortable ride specific to your vehicle. The Hollywood Hot Rods Series Shocks offer the perfect look, as well as performance adjustability. A low profile slot-style adjuster allows you to choose from 36 options of rebound adjustment with a comfortable compression setting. This inconspicuous adjuster tailors the shock for any setup, weight, spring rate and driving comfort to fit the needs of your hot rod or custom car setup. 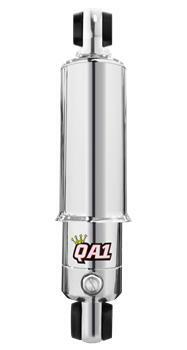 The Hollywood Hot Rods Series Shocks are serviceable and rebuildable by QA1 Authorized Service Centers. Made in Lakeville, Minnesota, every shock is dyno tested and serialized to fit within our strict quality requirements.